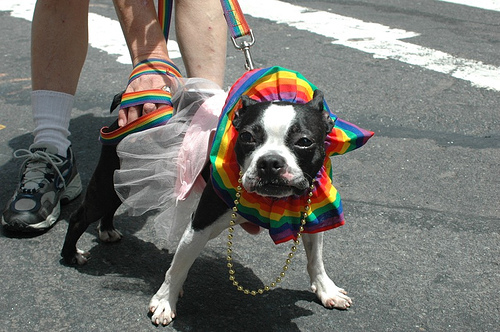 There are many Boston Terrier clubs around the United States. Some of them have rescue resources if you are looking to adopt. Most of them are dedicated to the purity and upkeep of the breed, and are involved in meetings and specialty shows. The Boston Terrier Club of America was formed in 1893, after the breed of Boston Terrier was officially recognized by the AKC in 1891. Ever since, this club has been dedicated to the upkeep and betterment of this breed, as well as the dogs’ overall health and temperament. This club works with 25 affiliate breed clubs throughout the country with sanctioned matches, specialty shows and performance trials. They hold the BTCA National Specialty once a year, which lasts a few days and is held in different locations when it happens. Their website has lots of great information and resources about Boston Terriers, like health and education. This club is run by people who have years of Boston Terrier experience and has many resources to familiarize people with the breed. They are always looking for new members who love this breed so that there can be more events, gatherings and fun! They do events like the Fun Day (which will be April 24, 2010), which will have lots of members’ Boston Terriers doing tricks and contests, as well as human food and an off-leash play area. This club is dedicated to preserving the BT standard, as well as promoting their health and educating the public about caring for these dogs responsibly. They hold some fun events like speakers, fun matches, picnics and more. Those who wish to join must fill out the membership application, sign the code of ethics and pay member fees. This Midwestern club is an affiliate of the Boston Terrier Club of America. They have many members, some of which just love their dogs, while others are more involved with things like conformation rings, obedience rings and agility trials. They hold several events throughout the year, like membership meetings, charity walks, specialty dog shows and more. Those who are interested in membership should attend a meeting and apply. This New England club dates back to its formation in 1931. Their monthly meetings sometimes have potluck lunches; there is also an annual Stroll and Picnic event. Some of the club members work with rescuing, fostering and re-homing Boston Terriers. Those interested in joining this club can attend events or meetings to get membership sponsorship and then apply. 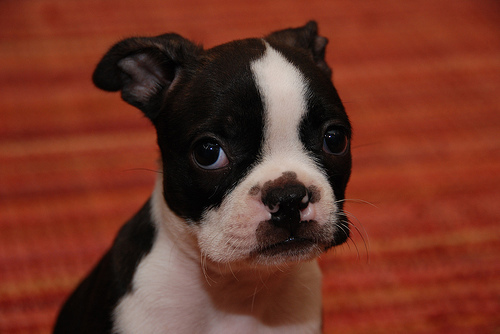 Many of the members are long-term Boston Terrier owners who have lots of valuable information to share. This Northwestern Club is dedicated to encouraging and assisting the betterment of the breed, urging the upkeep of the breed’s standard, encouraging these traits at dog shows and hosting several events under the rules of the AKC. They are affiliated with the Boston Terrier Club of America. They hold two Sanctioned “B” Matches per year, as well as two specialty shows in August with conformation and sometimes obedience trials. There are also two All Breed agility trials each year. Most members are from Washington, Oregon and Idaho, and some are even from Canada. They have monthly meetings in the Seattle/Tacoma area. Those interested in joining must get member sponsorship. People around Ohio should check out this club, which holds some specialty shows for Boston Terriers. Boston Terrier Club of Maryland, Inc. 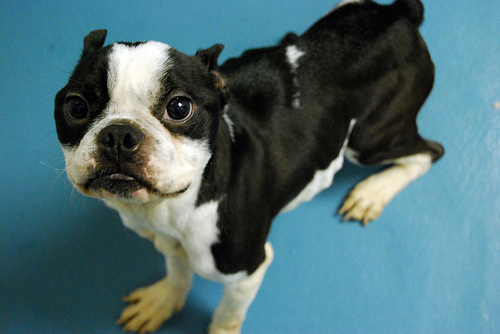 This club is a not for profit rescue group, dedicated to saving Boston Terriers who have been abandoned or neglected, and transferring them to loving homes. They accept BTs from those who must relinquish them. They provide temporary foster care, necessary medical treatment, and then research their potential new homes. This club operates around Maryland, Washington DC and Northern Virginia. 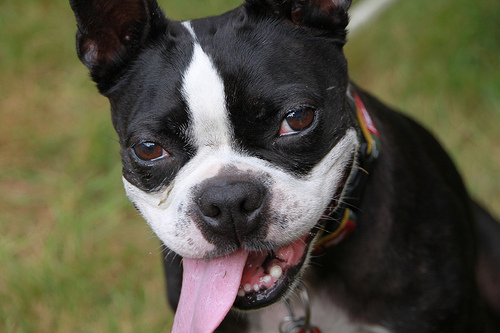 This club has been in action for over 30 years, and is operated by local Boston Terrier owners. They are a local affiliate of the Boston Terrier Club of America. The club provides resources such as general information, breeder referral, stud service referral, information on breeding and rescue and placement services. It does not charge or solicit for such services. Members of this club do an annual licensed specialty show, held the first week in August each year. Click here for information on applying for membership. The Boston Terrier Club of New York is an affiliate of the Boston Terrier Club of America, and has been active since 1906. Its mission is to protect, preserve and improve the breed in the present and for the future. They also have resources to educate the public in this breed. They hold specialty shows as well. This club has been around since 1991, and is committed to the preservation and the betterment of this breed. They hold monthly meetings that are open to the public, and are involved in specialty shows and demonstrations throughout the year. They are also linked to rescue resources.